The beauty of North East India is legendary. It is a vast expanse thus we aim to cover the the states of Assam and Meghalaya extensively. Elephant safaris in the Kaziranga to a visit to an Asamese village to experience their way of life, to heading out for a day long trek to the bridge of Living roots in Cherrapunji to a dip in the clear pools on the way there, to a caving adventure to limestone caves of Meghalaya. An adventure which will leave one breathless! 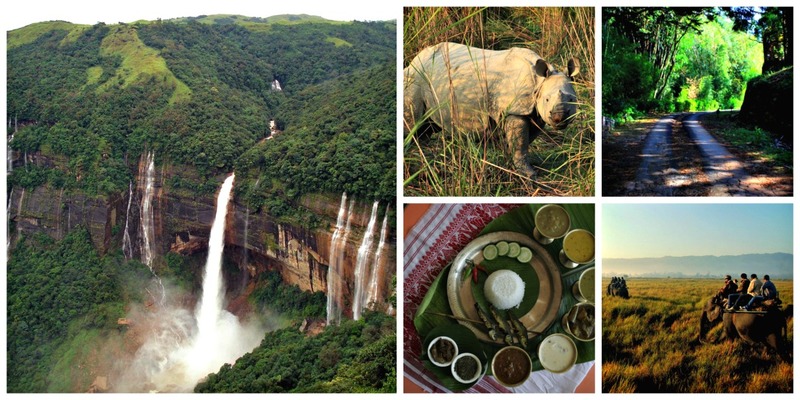 Reach us at: info@theblueberrytrails/8080122441 for customized Assam Meghalaya tours. For those of you who are looking to getaway from the big city and want to do so with your friends or family, we could Customised Getaways just for you! Weekenders and Longer Getaways alike. Your stays, meals, experiences and travel are aspects that we look into while designing your trip. You can choose your options from below and design an awesome adventure for yourself. Your travel plans, your way with your group of adventurers. Wild life adventures in Kaziranga-elephant & jeep safaris and an intensely ecologically diverse region. Adventures like Caving to explore limestone caves, day long trek to the living roots bridge. Natural beauty ahoy! Watefalls, pools of blue, random swims are all a part of the trip plan. Exposure to the rural life of Assam, enjoying their cusines, art, culture and even warfare. 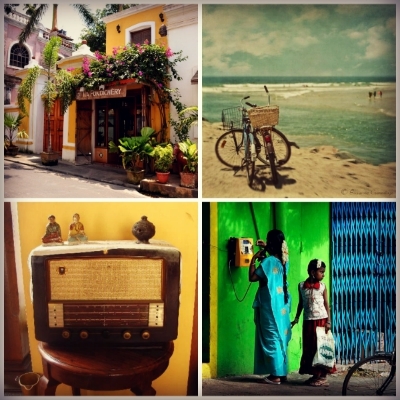 Village walks, and photo walk through local markets. Enjoying the alternate stays in colonial bunglows in Kaziranga, picturesque homestays in Shillong and a cost guesthouse in Cherrapunjee. Rise early in the morning for an exciting safari on Elephant back which would get you really close to the Rhinos. Post breakfast begin the long drive to Shillong. The best way to get a feel of Shillong is to explore the city on foot. Start by visiting the liveliest market in Meghalaya – Bara Bazar locally know as Lewduh. Chilly, oranges, frogs, silk worms and many more interesting items would be found in the narrow and crowded by lanes of the market. Lunch at a local Khasi joint in the market enjoying delicacies like jadhou , pork and fish. In the afternoon witness a unique form of traditional archery aptly named teer, a sport very popular amongst the locals. Post breakfast drive to Shillong. On the way take a detour towards Mawlynnong, the cleanest village in Asia. Walk through the picture postcard paths of the village, which overlooks Bangladesh. One can also take a short walk to the neighboring village of Riwai where there is a small root bridge. Lunch at the village and move to Cherrapunjee . Today head out for an exciting excursion into the unknown world of caves. You will be exploring a cave named Krem Mawmluh . With a total length of over 7kms of cave passages, Krem Mawmluh is situated approximately half a kilometer west of Cherrapunjee adjacent to the small hamlet of Mawmluh from which the cave takes its name. The cave’s 7kms contain of passages much of which are fine river passages of impressive proportions, calcite formations of various kinds, waist deep pools, few meters of belly crawl and few climbs. From the road head you would trek for around 45 minutes to the mouth of the cave. Over here you would change into caving gear like wet suite, caving suite , helmet and headlamp. Under the supervision of an expert caver you would walk, crawl, squeeze and wade through water for 3 hours in the various cave passages. Living Root Bridges are unique live bridges found only in the Khasi Hills of Meghalaya. The secondary roots of a species of Indian Rubber Tree Ficus Elastica- are trained over 20-25 years to form these living bridges to cross fast flowing rivers and streams. Some of these bio-engineering wonders are 53 feet, 70 feet, 100 feet long. The Double Decker Root Bridge has two levels. They are very strong, can carry many people at a time and perhaps can last 500 years. The trek passes through some verdant slopes, criss crossed by streams. At some places the stream has made some natural ponds, containing emerald blue water where you can take a dip. The trek is moderately difficult since one needs to descend 2000 feet into the valley and then climb up the same altitude again. - Things not mentioned in "inclusions"
*Please note: Activities are flexible and depend on availability.